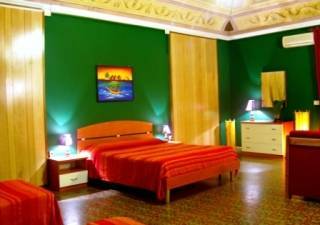 The ideal place for low budget travellers in the centre of Catania, TV, WiFi, air conditioning, coffe/tea making facilitiess. FREE Parking. 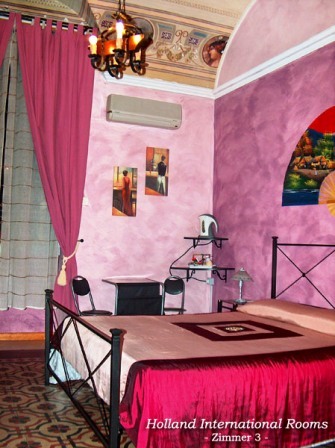 The ideal place for low budget travellers, situated in the historical centre of Catania in a renovated old building of the 18th century in which almost all the ceilings of the rooms are still decorated with original frescoes. The house faces the sea so some rooms overlook the Mediterranean and some more quiet on a big courtyard. Our central position, only 3 min. walking from the railwaystation and bus-terminal, makes it very easy to organize from here your excursions to Mount Etna, Siracusa, Taormina etc. and to reach the city centre with it's restaurants, pubs, pizzeria's in a few minutes. 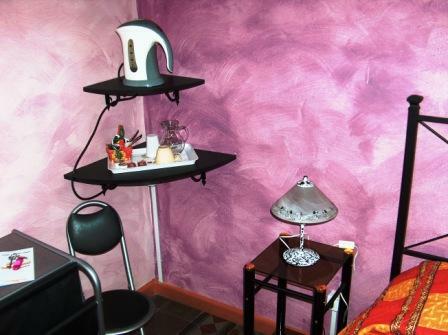 In all the rooms you will find TV., WiFi, air conditioning and coffee/tea making facilities. 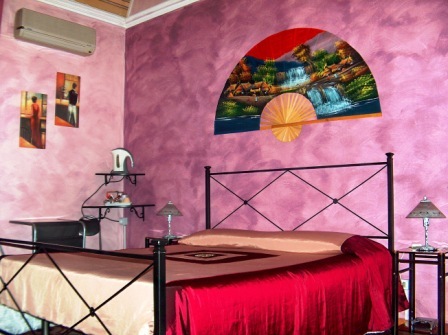 All rooms with air-conditioning, TV-Sat, WiFi and coffee and tea making facilities. Free Parking. In the Historical Centre just 4 min. from the Railway station and Bus terminal, 50 m. busstop airport. Via Etnea (Main street) 500 m.
Central train station 300 m.
Bus terminal (for all Sicily) 400 m.
The first night will be withdrawn from the credit card if the customers don't cancel his booking. It must be done at least 48 hours prior to arrival by E-mail. 1 night penalty charge: For guest not arriving for a confirmed booking. By car you follow the signs "Centro" and than "Stazione Centrale ". You will find us between the Central station and the Harbour, Piazzza dei Martiri > Via Vittorio Emanuele 8. From the airport you take bus AMT nr. 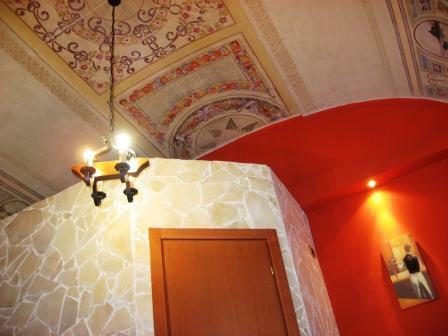 457 till Piazza dei Martiri, cross the square and walk into the Via Vittorio Emanuele you will find us on nr. 8. ( tickets bus AMT in the airport Euro 1, 00) . From the central train station take via VI Aprile till Piazza dei Martiri and turn right in the Via Vittorio Emanuele.